A Willenhall foundry is celebrating a significant contract haul after securing more than £1m of new orders in the last six months. Midland Pressure Diecasting (MPD), which employs 65 people across two sites on Ashmore Lake Way, has seen clients from the automotive, leisure and telecommunications sector tap into its ability to offer a single source solution within the foundry sector. The company will shortly start supplying complex components for a new stand for a VOIP telephony product, interlock systems and parts for a collapsible table. Although diverse in nature, the orders have all been secured due to customers wanting shorter lead times, greater quality and, in some cases, reduced costs. 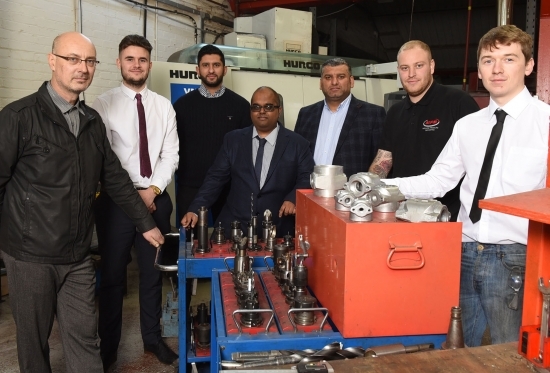 “We are now reaping the benefits of our strategic decision to control as many of the processes under one roof as possible and this has created an outstanding facility capable of high pressure aluminium and zinc casting, toolmaking and precision machining,” commented Ash Suman, who founded the business in 2000. Investing in skills and people is important to MPD, having recently taken on 4 employees from a local foundry that ceased trading in April. The company decided to seek the opportunity to add value and experience to its team, complementing its commitment to growing its own manufacturing professionals through the recruitment of two apprentices. “It is difficult to find the specialised skills that are required within our trade and therefore we value experienced staff who can not only contribute to our business, but also pass on their skills to the next generation,” pointed out Ash. MPD offer aluminium and zinc high pressure die casting services to customers in various industries, including automotive, aerospace, hydraulic, gas, hardware and leisure. Batch sizes range from 50 parts to 5 million, with components as heavy as 6kg produced at the company’s two facilities spanning a combined 80,000 sq ft. The firm has recently bought land at the back of its premises in Ashmore Lake Way, giving it another 2-acres of development space to increase its manufacturing footprint in line with future demand. 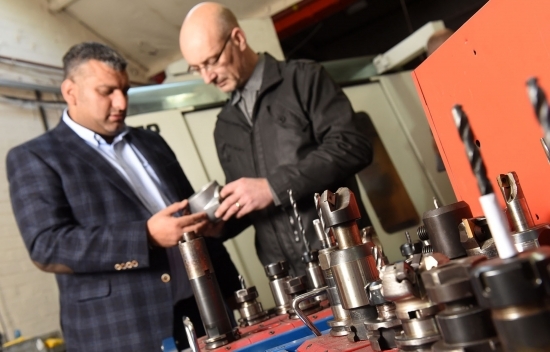 Diptesh Patel, Technical Manager at MPD, concluded: “Having the on-site tool room and toolmaking expertise means we are just as competitive as low cost countries and, with us, there are never any logistics or quality challenges to face.